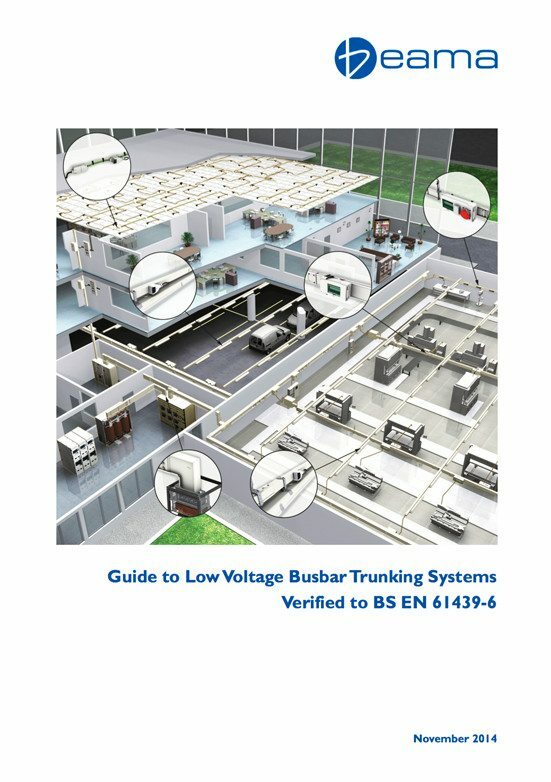 The object for this guide is to provide an easily understood document, aiding interpretation of the requirements to which Busbar Trunking Systems are designed and how they should be safely installed and used in service. This is the most common use of busbar trunking and is applied to distribute power over a predetermined area. Busbar trunking can be run vertically or horizontally, or a combination of both. 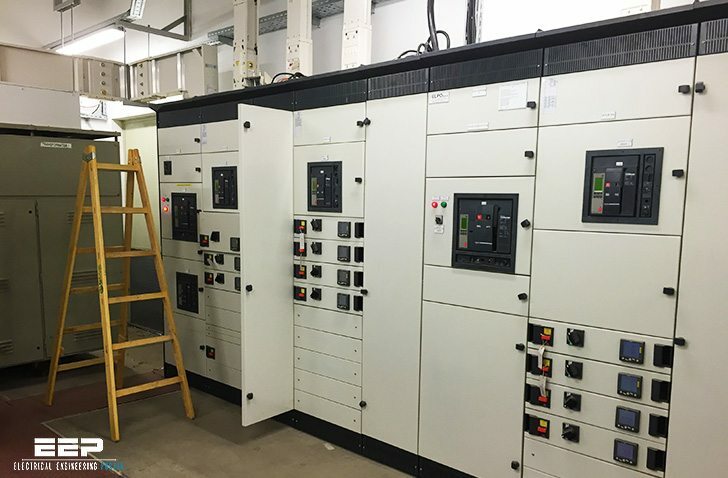 Rising main in office blocks or apartment blocks to supply distribution boards serving individual floors or other busbar systems serving individual floors. Power is taken from busbar trunking by the use of tap off units which connect at defined positions along the busbar trunking, and allow power to be taken from the system, usually via a suitable overcurrent protective device. The contractor can achieve savings with respect to material i.e. cable trays and multiple fixings and also labour costs associated with multiple runs of cable. Reduced installation time since busbar trunking requires less fixings per metre run than cable. 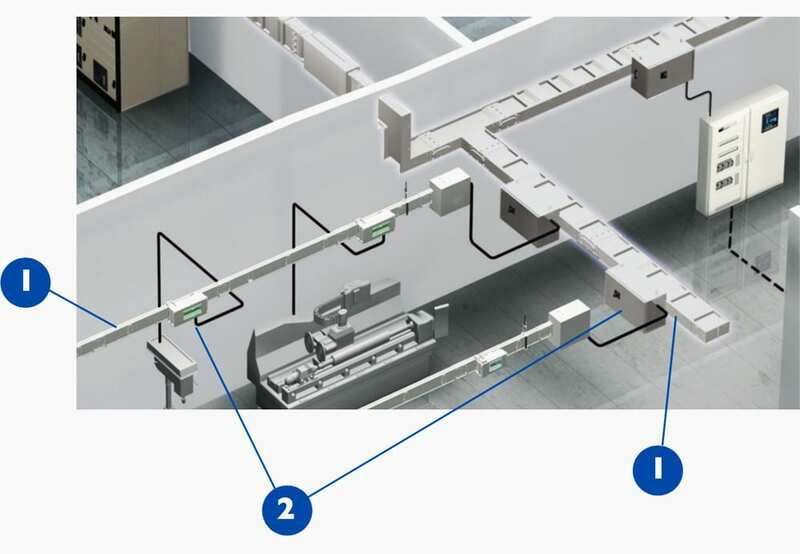 Multiple tap-off outlets allow flexibility to accommodate changes in power requirements subsequent to the initial installation (subject to the rating of the busbar trunking). Repositioning of distribution outlets is simpler. Engineered product with proven performance. Verified to recognised international and national standards. Aesthetically pleasing in areas of high visibility. Feeder trunking runs are used for the interconnection between switchboards or switchboard and transformer. Busbar trunking systems are more economical to use, particularly for the higher current ratings, where multiple single core cables would be used to achieve the current rating and compliance with voltage drop requirements. Greater mechanical strength over long runs with minimal fixings resulting in shorter installation times. Replaces multiple runs of cable with their associated supporting metalwork. Easier to install compared to multiples of large cables with all of the associated handling problems. Less termination space required in switchboards. Verified short-circuit fault ratings including joints. Takes up less overall space, bends and offsets can be installed in a much smaller area than the equivalent cable space. Busbar trunking systems may be dismantled and re-used in other areas. Busbar trunking systems provide a better resistance to the spread of fire. Voltage drop in the majority of cases is lower than the equivalent cable arrangement. I am looking for BBT to sell to Bangladesh market.